In your search for a small crossover SUV, you’re bound to stumble across the 2017 Jeep Cherokee. It’s a unique character in the class offering something the other competitors can’t-off-road capabilities! While every Cherokee can tackle the wild outdoors, a trail-rated Trailhawk trim offers the best-in-class performance when you take the road less traveled. If the outdoors isn’t your thing, don’t let these capabilities deter you-the Cherokee is as good on the pavement as it is off. It offers one of the smoothest rides in the class with a supple and delightful suspension. If you’re searching for power, an available V6 engine will provide more than enough for this small SUV. Tech features are plentiful, and the interior is both refined and functional. To learn more about exactly which features we love in the Cherokee, keep reading! The 2017 Jeep Cherokee’s prowess starts under the hood. Two engines are available; standard is a 2.4-liter four-cylinder capable of producing 184 horsepower and 171 pound-feet of torque. Alternatively, a 3.2-liter V6 is available, offering ample power for this crossover. It releases 271 horsepower and 239 pound-feet of torque. Both engines are linked to Jeep’s go-to nine-speed automatic transmission. Both front-wheel and four-wheel drive are available for the 2017 Jeep Cherokee, and the Trailhawk trim comes exclusively in four-wheel drive. Jeep offers two four-wheel-drive systems, Active Drive I and Active Drive II. Both offer the coveted Selec-Terrain dial for optimal navigation of any terrain or weather. 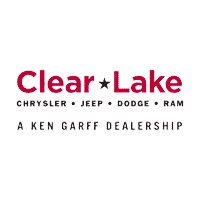 Sport, Latitude, and Limited trim levels offer Active Drive I, while the Trailhawk and Overland trims offer Active Drive II, which provides low-range gearing, an extra Rock mode on the Selec-Terrain dial, and a locking rear differential. When properly equipped, the 2017 Cherokee can also tow an impressive 4,500 pounds. Quality was the focus of the 2017 Jeep Cherokee. When you step into the Cherokee, you’ll immediately notice the rich, comfortable materials. The Cherokee is designed for five passengers and offers 24.6 cubic feet behind the seats or 54.9 cubic feet with the rear seats folded down. Five trim levels-Sport, Latitude, Trailhawk, Limited, and Overland-are available for this year’s Cherokee. Basic equipment includes keyless entry, Bluetooth, a 5-inch touchscreen interface, cruise control, an ergonomic tilt-and-telescoping steering wheel, and a six-speaker audio system. The Trailhawk, Limited, and Overland offer a standard Uconnect 8.4-inch touchscreen infotainment system, which boasts being the best on the market for its comprehensive features and intuitive nature. A wide range of packages are available as well, letting you mix and match features you want. One available feature is a dual-pane sunroof–if you’re familiar with Jeep, you’ll know that this provides the open-air freedom they’re known for and is practically a must-have. Are there any special editions for the 2017 Jeep Cherokee? Yes, there are three special editions: 75th Anniversary Edition, Altitude, and High Altitude. What exterior paint colors are available for the 2017 Jeep Cherokee? There are ten available exterior paint colors: Firecracker Red, Billet Silver Metallic Clearcoat, Diamond Black, Deep Cherry Red Crystal Pearlcoat, Light Brownstone Pearlcoat, Rhino Clearcoat, Hydro Blue, Granite Crystal Metallic Clearcoat, Bright White Clearcoat, and Recon Green Clearcoat. Speaking of packages and options, a safety-oriented Technology package is available, supplying features such as adaptive cruise control, lane departure warning complete with lane-keeping assist, automatic high beams, forward collision warning with automatic emergency braking, an automated parking system, upgraded exterior mirrors, automatic wipers, and rear parking sensors. That’s a pretty comprehensive package and it just goes to show that Jeep wants to give you an exciting ride in a safe way-in fact, the 2017 Jeep Cherokee offers over 70 safety and security features. For a do-anything crossover SUV, the 2017 Jeep Cherokee is a fantastic option. For a closer look, come to our dealership at your convenience or fill out the contact form below!